Engineered with weightless colour and Cr?e de la Mer's remarkable skincare benefits, this silken, lightweight fluid has the power to transform the complexion. Gemstones capture light energy to create a translucent colour palette, optically erasing imperfections to reveal a naturally flawless complexion. 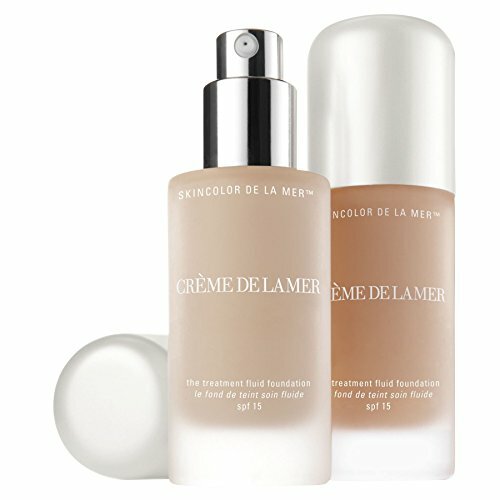 Created with a rare blue algae transformed through Cr?e de la Mer's exclusive bio-fermentation process, a Blue Algae Lift Ferment along with precious marine and plant actives immediately add radiance while working continuously to lift the skin, restoring a lasting firmness, clarity and brightness. Skin's ability to renew itself is greatly enhanced as it is trained to sustain a smoother, softer, more resilient appearance. Flexible medium coverage brings skin a naturally luminous finish. Protects with SPF15.